It was Dec 30th or 31st, I am not too sure exactly what day it was. But I woke up with some cramping and decided to take a test. I remember the 2nd line being faint but there was a line. Holy Cow! We’re pregnant! I told Chris by running up to Target and buying the movie Knocked Up. I wrapped it up in Xmas paper and gave it to Chris. I woke him up and said I found a present I forgot to give him. He responded with something.. “Oooo I wonder what the heck this is” Since you could tell it was a DVD wrapped up. That was the beginning, it was the most exciting happy moment in our life. Both laying there in bed in amazement that we were going to be parents. The next 2 months were filled with uneventful Dr’s appointments, telling parents and co-workers and dreaming about baby stuff. I ate, talked and breathed everything baby. I was just so darn excited. No lie. We bought a new car, we considered it my soccer mom car! I knew I would need a bigger car and what better time to get one. In April, we found out out that our Ruby Baby was a little boy. Chris was SO excited! The Dr was a little concerned with his growth but was thinking he was curled up and wanted me back in 2 weeks for another scan. I was worried but had faith everything would be ok. We went shopping afterwards at Babies R Us and Carters. This is also when my nautical obsession started, I think I bought 3-4 outfits with sailboats and anchors. In April, we went to Washington D.C. for a mini honeymoon. We took pictures ALL over the city with my popped out belly. It was in the hotel room in DC that I first felt our baby kick on the outside. Simply amazing. We decided on a nursery theme, even though it was kind of a given on what we would do. It was perfect and I couldn’t wait to get started. Then May 6th happened. My follow up ultrasound showed our baby’s growth was now down to the 5th percentile and we needed to be referred to an MFM right away. That night, my Mom flew down to be with us at the MFM appointment and at the time I thought it was overkill. Then this happened, and I knew she was here for a reason. I broke apart, we broke apart. The next few days were full of tears, hope & lots of ice cream. I had no clue what to think honestly. The next few weeks were full of unanswered questions. The amniocentesis came back normal, but his size was not growing. By now, he was off the growth charts and Dr’s (MFM) was giving me NO hope. They also thought there was a heart defect and that we needed to go to Tampa to get an echo. This whole time MFM was telling me that I needed to grieve, go home and absorb everything that has happened. She also presented an option to terminate. NO WAY! I was giving our baby every fighting chance. I went to Ohio when I was 23.5 weeks. I went home to see my family one more time, the MFM suggested it was a good idea to ‘be with my family’ so I did. We spent the weekend shopping for his nursery. We also noticed I was getting bigger so we had HUGE hope that he was going through a late growth spurt. I came back, had tons of appointments, attending many more trips to L&D triage for some scares, many more ultrasounds for dopplers and fluid checks. I was placed on bed rest and was given a goal to get to 32 weeks. Nolan was measuring 3.5 weeks behind, had next to no fluid. I was drinking protein shakes and water like crazy trying to help his fluid and growth. I did everything in my power. Everything. I fought and fought and fought. 2 hours later, I was admitted for high blood pressure. I had a bad headache all day and went to Publix to check my BP. It was 189/118, I was told to come to L&D right away. I was told they weren’t sure what was going on with me but they wanted to admit me since my 24 urine from the other day was borderline preeclampsia. Then the MFM came in, reminded me that if they deliver our baby would not survive. He was too small and pretty much crushed any hope I had. 8 hours later, my BP stopped responding to meds and my headache was back and my labs came back that I had HELLP. In order to save my life, I had to deliver our baby. I cried, I bawled, and bargained with my OB to let me wait a few more days. I knew he wasn’t ready, he was just too small. She promised me that if I did not deliver in the next few hours, I would fall deathly ill, end up in ICU and possibly lose my life. So there I was, my world turning upside down for real this time. My best friend, Val at my bed side helping the nurses prep me for the OR while Chris was out making phone calls. All I can remember was crying, I felt helpless. Nolan Michael Dowaliby was born somewhere around 9am that morning in an emergency c-section. He came out and had a quick cry and had APGARS better than full term baby. The NICU team was able to stabilize much to the surprise of what MFM told me. I remembering having so much hope for Nolan. He got his name because it means little fighter and Chris gave in to my favorite name when i was bawling my eyes out to the OR because knew he was going to have to fight. We had A LOT of visitors. Both Grandmas, Chris’ Dad, Aunt Trisha, Heather, Darleen, Valorie, and Jen all got to meet Nolan over the course of his life. Every single one that had the chance to meet our little miracle was just amazed at how truly small he was. We made many trips from my room with me in a wheelchair to the NICU. Chris and I spent a lot of time hanging out with Nolan watching him kick and move. We held our hands over him gently and also let him kick our hands away with his HUGE feet. The night of June 11th we went up to have a last visit before we went to bed. It was late, maybe 11pm and I remember blowing him a kiss good night and saying good night munchkin. We went downstairs to my room, I fell asleep pumping and that’s when the nurse came in and told us to get to the NICU now. The next time I saw Nolan, he had 10-12 people surrounding him, his giraffe incubator was fully open and he was coding. They had him off the vent and bagging him, doing CPR on his tiny chest. I lost it. They encouraged me to hold him while they did this, actually they insisted he be in my hands. I reached in the incubator picking him up and praying out loud. We then had to make the difficult decision to stop the code, they had been fighting it for awhile and there was not much hope for survival and just 3 short mins later, Nolan was gone. That’s when Valorie ran in, she opened her arms and held both Chris and I. We lost our son, our life was immediately something we never imagined. I held my baby for the first time in my arms with no heartbeat. For the next few hours, we held Nolan in that stupid family room that no one ever wants to be in. Only bad things happen in that room. My nurse even had to come up to give me my meds because I wasn’t ready to leave Nolan yet. That morning, I refused to leave the hospital or have any visitors until Chris and I laid in my hospital bed and read every single post on Nolan’s blog from day 1. Then I started to write his last post. I felt I had to do it before I left the hospital, it was something I just had to do. I had to formally say goodbye to my son the same way I started telling his story, through a blog. We left the hospital less than an hour later, I left my innocent world behind me when I was wheeled out the hospital doors that day. Who I used to be left, and a fight for a new normal started. The following weeks were followed with a million cards, planning our sons service and remembering what a courageous fight he had. I was so overwhelmed with how many people came to his service. Everyone even wore red and navy in honor of his favorite colors. Valorie made the most beautiful video of our Nolan’s life and there was not a dry eye in the church when it played. The last song we played was “Somewhere Over The Rainbow” and during the song, the sun shined through the stained glass windows and made a rainbow on the floor right in the front of the church. It was a miracle from above, I couldn’t make this up, everyone saw it themselves. It seems like I could say so much more about my son’s life. I know it was short, but it just doesn’t seem right that I can write it all in one post. But here I am, trying to share with everyone my awesome, perfect and beautiful son’s life. I never want anyone to ever forget him. I love you Nolan, always will. Reading your story over again, has me in tears. It reminds me of very similarly how I lost Naomi as well. I remember going up to the NICU to say goodnight to Naomi but they took awhile to open the doors so I thougth oh i will see her tomorrow in the morning.So I went upstairs to the 3rd floor and fell asleep, then I got woken up by a call by the hospital on my cell phone at 3*46 am. Will never forget it, I just knew and thats when I ran down to elevator and started banging on that door to let me in. Same story, there was a crowd of nurses and everything around her. It was beyond a horror movie. I almost just had them stop working on her, but then sure enough, she was lifted into the hands of Heaven. Youre sweet baby Nolan, God bless him always and forever. Love you! I think I'm definitely going to have to make a trip to Florida once this rainbow baby gets here! Hi, My name is Felicia Davis. I too have lost a baby in the NICCU. My story is on this faces site as well. I wanted to tell you that I've been following your blog for a long while now and I want you to know that you have made me cry and laugh at the same time..touching my heart with your struggles and fears. Thank you for showing honesty in the fear of pregnancy. I too went through pre-eclampsia. 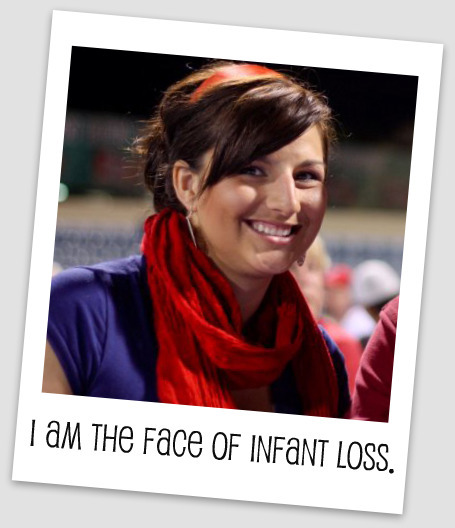 Your story gives me hope after losing my baby girl. I hope to talk with you more.